As the Government tries to improve the country’s economic outlook it hands its citizens more autonomy to look after their own affairs. The future of our work, health and finances are ever-increasingly in our hands. This is never more evident than with the way we save for our children’s financial future. As we have all heard before, savings are incredibly important, perhaps now more so than ever in today’s unstable financial environment. But while the necessity to save; both for your own retirement, for a rainy day fund, and for your children’s future stability, our ability to do so decreases. More people are out of work, and more people have to spend all the money they earn just paying their bills and buying their groceries, never mind thinking about savings. If you’re a parent with dependent children then you’ve probably heard of the Junior ISA, the new tax free savings & investment vehicle which allows you (or anyone else for that matter) to save or invest up to £3,600 per on behalf your children. In fact you might even have opened a Junior ISA for your children. That is unless they were born between 1 September 2002 and 2 January 2011, in which case your child is barred by statute from benefiting from a Junior ISA. Using a Junior ISA, the new tax free savings vehicle which launched in November to replace the Child Trust Fund, up to £3,600 per year can be saved or invested on behalf of a child tax free. Once you decide to open a Junior ISA for your child, you then need to decide whether to put the money in savings or to invest in stocks and shares, or both. The annual allowance can be divided in any proportions you choose between cash and investments just as long as you do not exceed the £3,600 limit. There are enough austerity measures hitting our pockets without needlessly giving away thousands to the taxman. An adult can shelter up to £10,680 in a stocks and shares ISA and children up to £3600. This means that a family of four can keep a whopping £28,560 out of the clutches of the tax-man if they have acted before the 5th April. Billions of pounds a year just end up with the Revenue simply because people do not use the allowances to which they are entitled. That figure is likely to grow if people do not take advantage of the extra £3600 available for each child in a Junior ISA. Do you ever look back at those days when you were living at home with your parents, earning maybe £200 – £300 per week and when your only bill was for your mobile phone and wonder where all that money went? If you do then don’t worry, you’re no different from many other thirty-somethings who spent their late teens and early twenties in the economic boom of the first term of the last Labour Government. It’s getting to that time of year again. The old tax year ends at midnight on 5th April (that’s a Thursday by the way) and any money you plan to invest in your ISA needs to be paid in by then or else it count against next year’s allowance and any outstanding allowance for the current year will be lost. This year, along with the adult ISA deadline there is the first deadline for the Junior ISA. Junior ISA – Can It Live Up to the Hype? 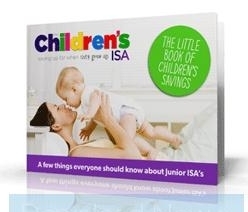 In November 2011 a new tax efficient savings or investment vehicle specifically for children, the Junior ISA, was launched. It is open to all children who did not qualify for its predecessor, the Child Trust Fund, so that means any child born before September 2002 or after 2 January 2011. As at November 2011 there were 6 million eligible children. In addition the estimated 800,000 babies born each year will be eligible. Junior ISA the Parents Solution to Tuition Fees? With the recent rise in tuition fees pushing the cost of a typical 3 year university course up from around £35,000 to around £53,000 (when factoring living costs and sundry expenses, many capable young adults are having to face the reality that they will not be able to study for the degrees that they need to achieve in order to follow their preferred career path. Furthermore, with no prospect of higher education students are likely to shun A level courses in favour of earning a wage. Family Investments, UK children’s savings provider, has witnessed strong demand for its new Junior ISA with just under 6,500 accounts opened since the product was launched on November 1st last year. They have noticed particularly strong demand amongst existing Child Trust Fund (CTF) holders, highlighting parents’ desire to make equal provisions for siblings who may have missed out on the CTF.